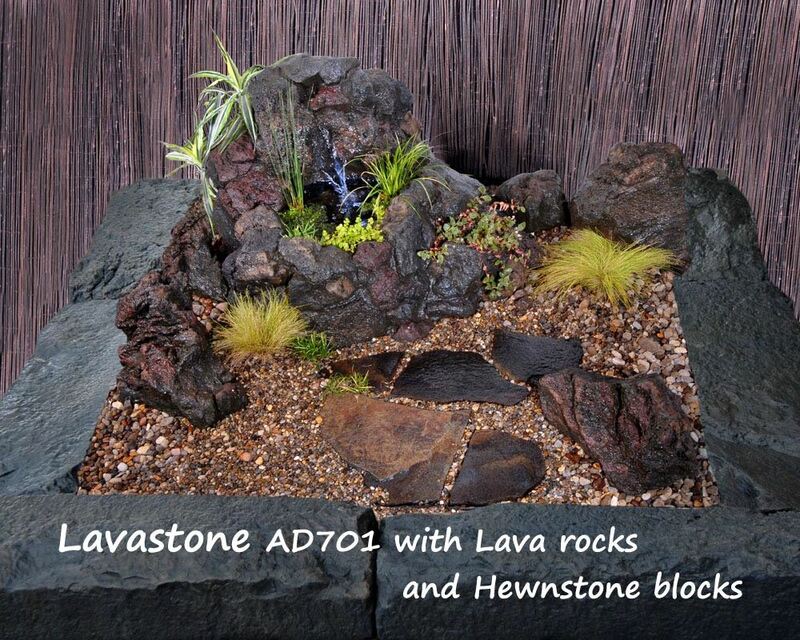 The adwater LAVASTONE WATER FEATURE incorporates EZI-ROC artificial rock at its best. 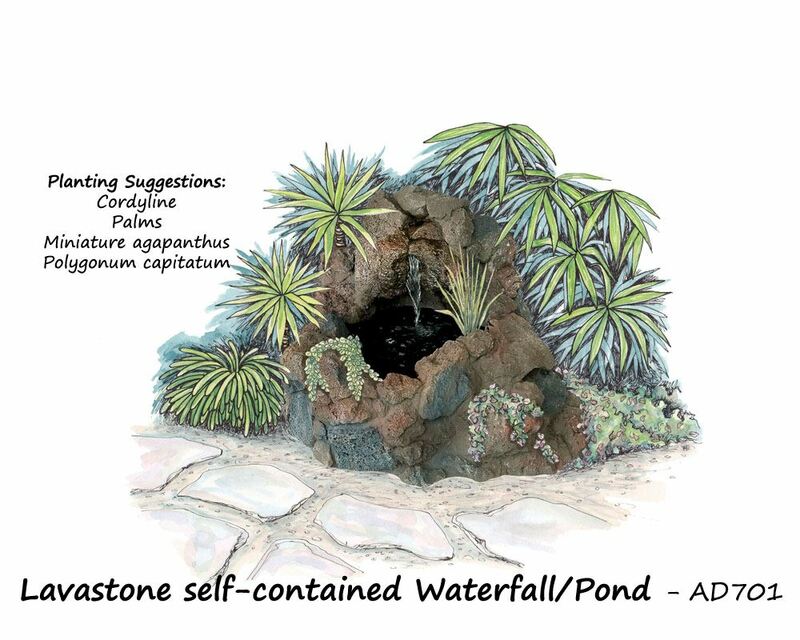 This is a one piece self-contained feature that is ready to use and enjoy. 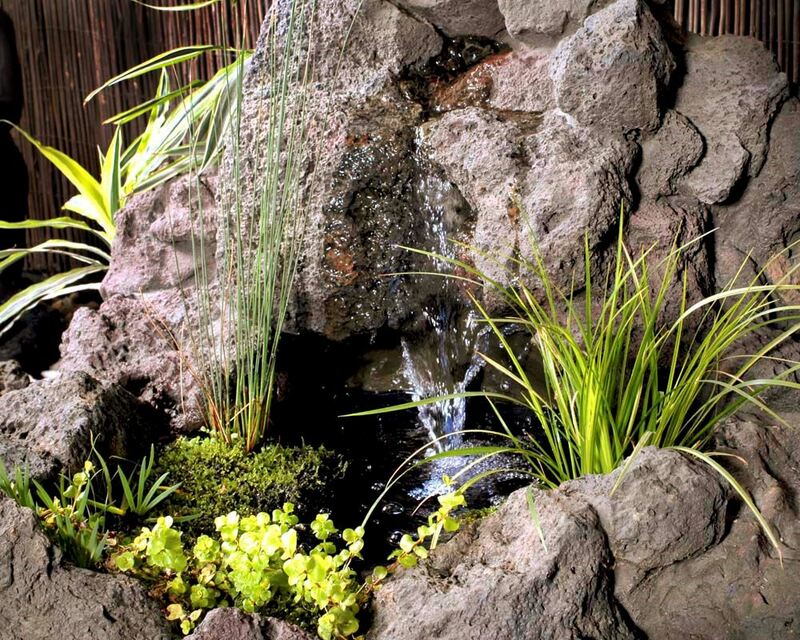 Three planting areas are provided, two for marginal pond plants and one for a soil plant. 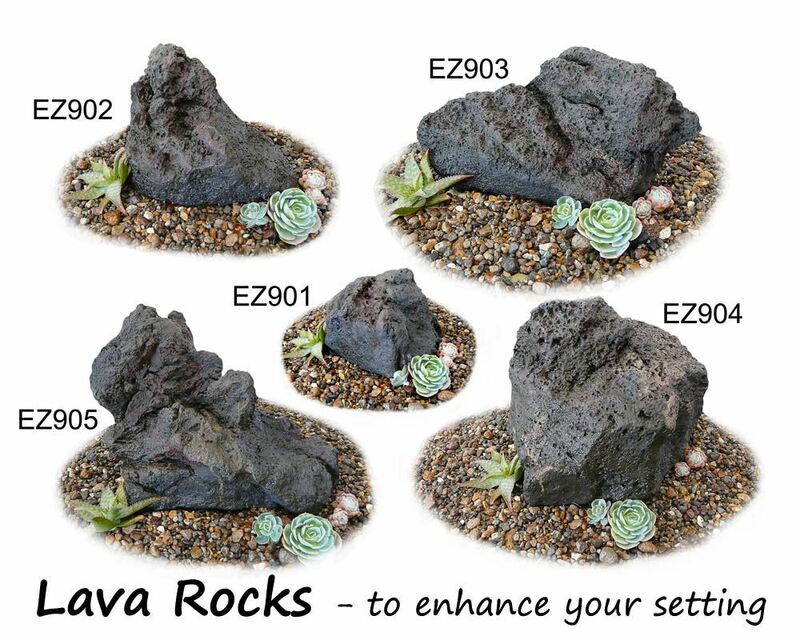 Five EZI-ROC's of the LAVASTONE style are available to compliment your setting. 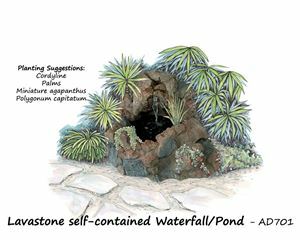 Click on the images below for views and dimensions. View general important product information.